Australia Day for me, is about taking some time out to look at, how fortunate we are to be able to live in a free and multi cultural society and democratic country, such as Australia. It’s a time to reflect on those that have offered us inspiration; reflect on those that go quietly about doing good for others with little recognition; and to take part in the pleasures of spending time with family and friends. And it’s a time to not forget the many Australians that each year, give of their time and energy to others in the way of volunteering. In Australia, approximately 5.2 million volunteers contribute to the wider community, totally approximately 713 million hours of unpaid work, every year! (Macklin. J. 2008). 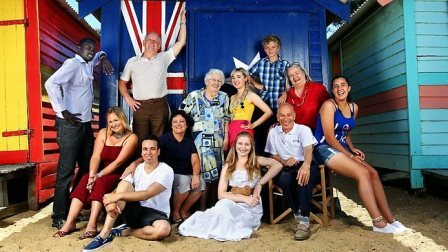 In the year 2012, I was very fortunate to be asked to take part in a Herald Sun Newspaper feature article and group photo called “Australia Day: Unsung heroes of our nation“. It was about a group of 12 people of all ages and walks of life, just ordinary Australians who volunteer their time in order to give back to their communities. 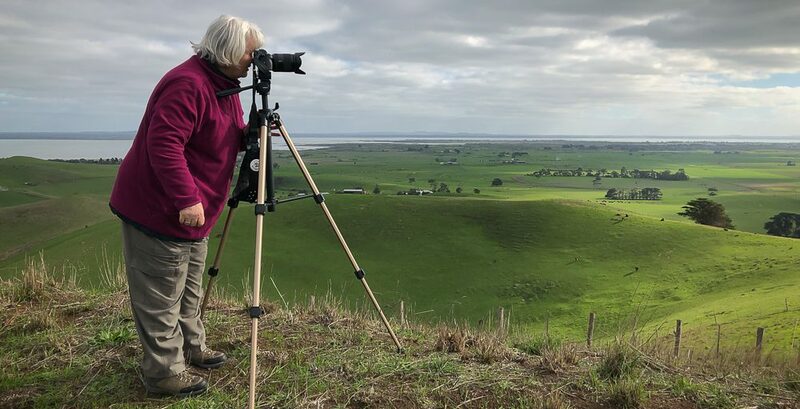 Joyce McDonald, 81 of Myrtleford; John Neamontis, 76 of Malvern; Austin Omann, 11 of Mornington; Cheryl O’Hanlon, 59 of Elsternwick, Primrose Holland, 21 of Williamstown, Rebecca James, 13 of Lalor; Teng Bath, 28 of Fitzroy; Brad Crewe, 34 of Melbourne; John Johnson, 66 of East Keilor; Nicola Vaughan, 35 of Williamstown; Megan Wolsky, 17 of Berwick; and there was myself Karen Robinson, back then I was 56 of Attwood. 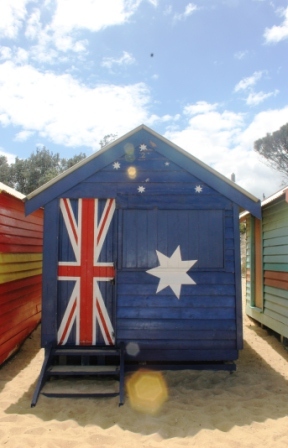 BRIGHTON BATHING BOXES AT DENDY STREET BEACH – A Favourite Australia Day destination for the customary Aussie BBQ Lunch! I particularly love the above photo which was taken in front of an iconic Brighton Bathing Box at Dendy Street Beach which is approximately 13 km south of the city of Melbourne. The first of these bathing boxes was built in1862 and today there are approximately 80 bathing box’s lining the shore line. It’s locality is a favourite with tourists; and particularly on Australia Day, tourists, families and friends get together for the customary Aussie BBQ lunch. Photo taking is one of my art for therapy activities and with my husband, we drove to Dendy Street Beach this 2015 Australia Day weekend and took a series of photos of the iconic Brighton Bathing Boxes and its surrounding area. As an abstract artist and photo-taker, I was particularly interested in the amazing colours of the bathing boxes themselves and how the owners of them had used their artistic imagination to give each one an individual personally! On my return home, I decided to do an abstract painting that reflected the sun, sea, sand and the amazing colourful Brighton Bathing Boxes. 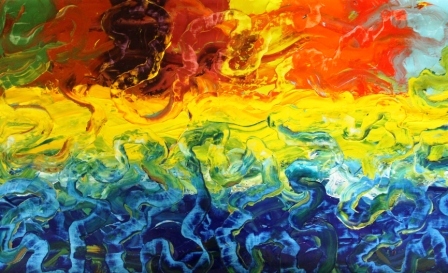 This entry was posted in Art & Creative Writing as Therapy and tagged Abstract Artist, Abstract Painting, Art Therapy, Artist Blog, Australia Day, Australian of the Year, Brighton Bathing Boxes, celebration, Creative Writing, Dendy Street Beach, ido art karen robinson, Karen Robinson, Unsung Heroes of our nation, Volunteering by idoartkarenrobinson. Bookmark the permalink. Wonderful post and beautiful painting! Really enjoyed the photos of the bathing boxes! I had never heard of them before.